There are a few main causes why you get ECONNREFUSED – Connection refused by server in FileZilla FTP client. 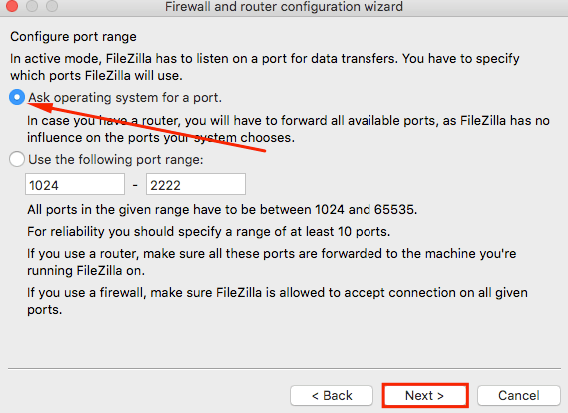 It’s possible that either your firewall or anti-virus software is preventing FileZilla from connecting to the server. 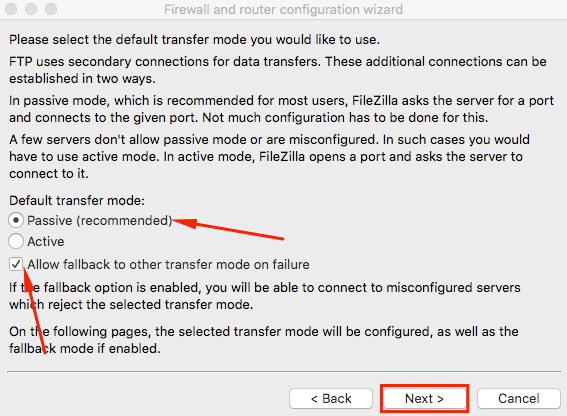 If disabling firewall or anti-virus software doesn’t help, you may need to change FileZilla Network Configuration settings. 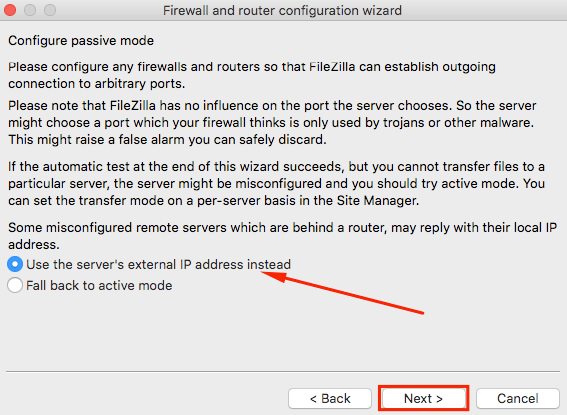 This step by step tutorial shows how to go through FileZilla Network Configuration Wizard in order to resolve ECONNREFUSED – Connection refused by server error. 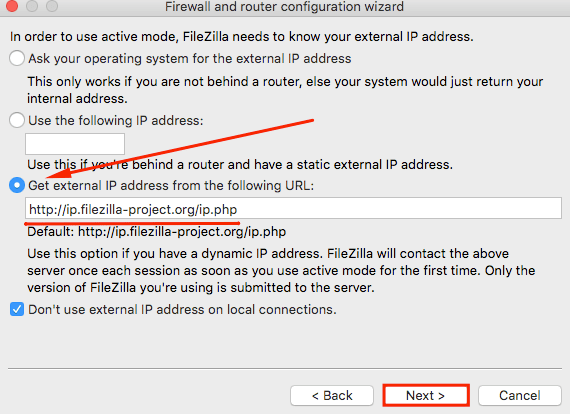 To access Network Configuration Manager in your Filezilla client, you press Edit and then select Network Configuration Wizard option. 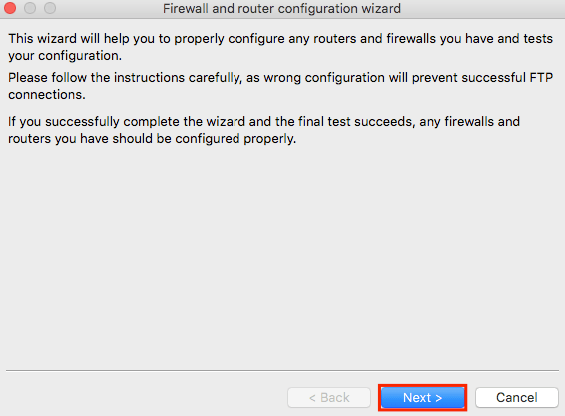 You should now see a Firewall and router configuration wizard. Since we cannot make any changes here, press the Next button. You can now select a transfer mode, choose Passive (recommended) as Default transfer mode. Afterward, click on Allow fallback to other transfer mode on failure and press Next. Once you have done that, proceed by pressing Next. You do not need to make any specific port range configuration here, so select Ask operating system for a port and proceed by clicking Next. 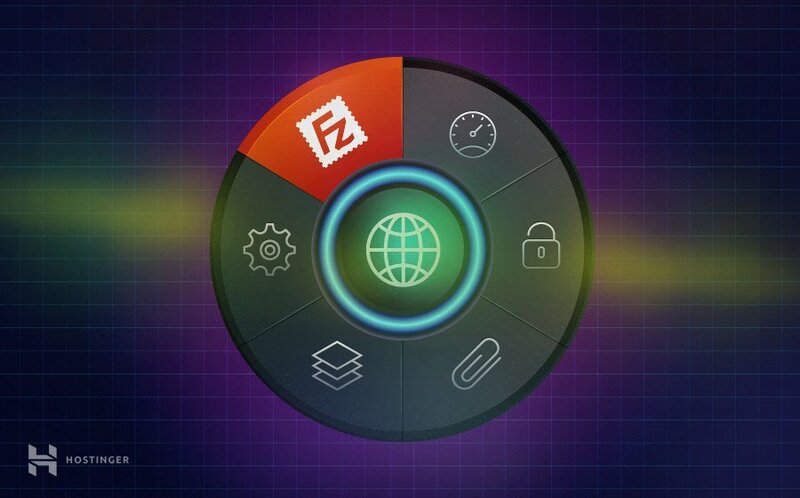 You have provided FileZilla with all the required information. Now you need to make sure that everything is configured correctly. Click on Test button and FileZilla will try to connect to probe.filezilla-project.org in order to perform some simple tests. 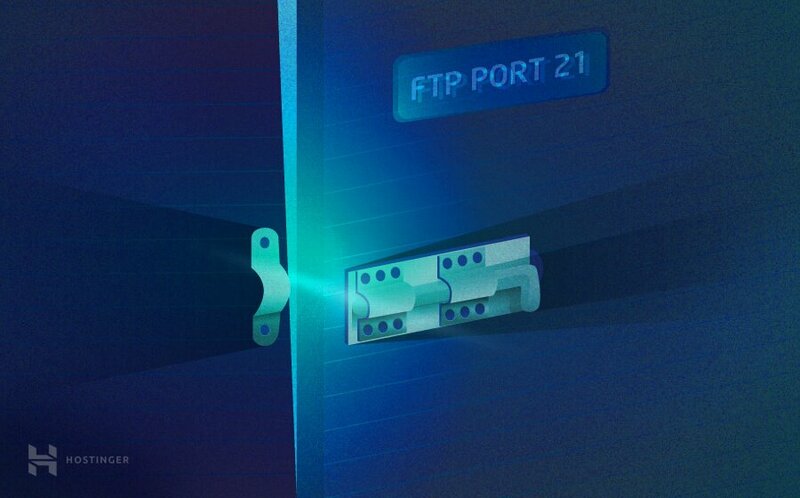 If the test was successful and you have not received any error messages, try connecting to your hosting account. If you still get the ECONNREFUSED error, contact your hosting customer support team for assistance. 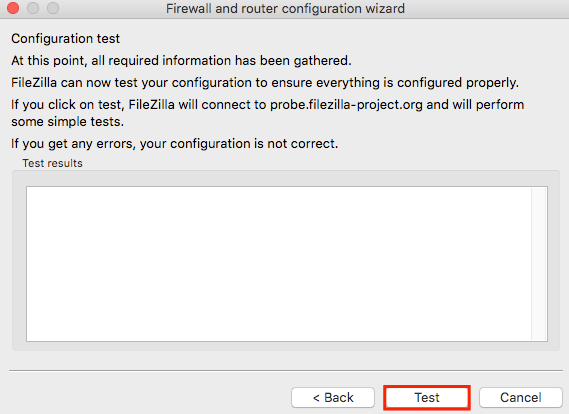 By finishing this short tutorial, you have successfully configured your Filezilla Firewall and router settings. You should no longer get ECONNREFUSED – connection refused by server error while connecting to the server. Failed to create listen socket on port 0, aborting. Can you help me to solve this trouble? If you get this error on a website hosted by us, please provide a link here or contact our customer success team.